24 hours in Venice: What to do in Venice in 1 day! Venice in 24 hours? What to do in Venice in only one day? If you only have a limited time to take in the magic of Venice, then below is an itinerary for you. A friendly warning: wear comfortable shoes as this city was made for walkin'! If you are coming from the station or Piazzale Roma, the bus depot for Venice, continue past the station, opting to go straight instead of crossing Scalzi Bridge. This route will take you a long Strada Nuova, a bustling commercial street lined with shops and a few exceptional places to have a coffee and brioche. A few of my favorites are Torrefazione Marchi (left side) and Pasticceria Nobile (further down on the right). Both are stand-up affairs--all the better to same a little time. Continue the walk on Strada Nuova and make your right toward Rialto when you get to the charming little Campo Santi Apostoli. When you get to Rialto, climb its steps, peruse the shops and snap a few photos of the wonderful views it offers before crossing over into the Rialto Market. Take your time to wander through the vegetable and seafood stalls, taking in the colors and various scents. If this gets you hungry, why not try one of the little bars in this area that offer an array of cecchetti (Venetian tapas) and a prosecco (Venetians like to drink early) . It wouldn't be a bad idea to buy a few pieces of fruit or a bunch of grapes to snack on during the day either. 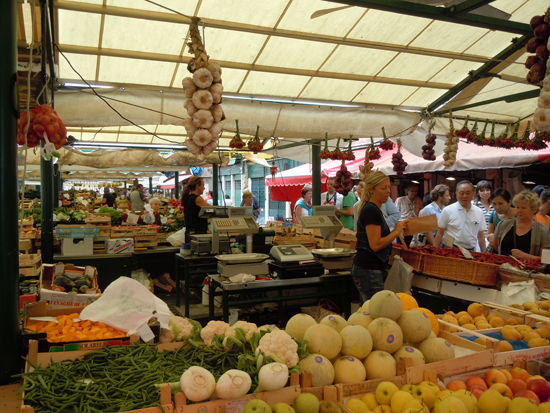 From Rialto Market, head toward Campo San Polo, one of Venice's largest campos that sometimes hosts a series of outdoor films, markets and even an ib. You'll pass many shops on your way. After San Polo, continue heading south and follow signs that will take you west to Scuola Grande di San Rocco. The interiors of this meeting house are covered with paintings by Tintoretto and intricate wood carvings. A very impressive sight to behold. 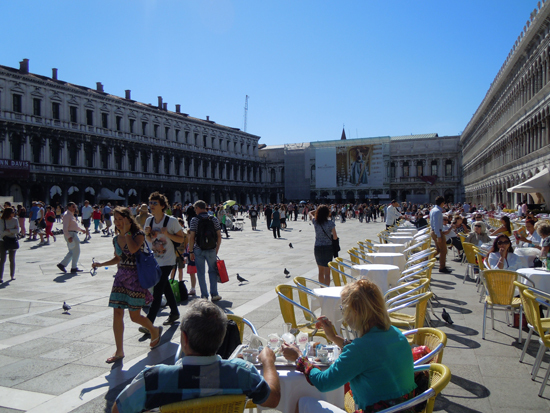 If you haven't filled up on snacks so far, head down to Campo Santa Margherita for lunch, where there are many affordable cafes to choose from. In warmer weather, you can soak in the sun at a table overlooking the beautiful facades in this campo. After lunch, make sure you have an espresso. There's much more to see! 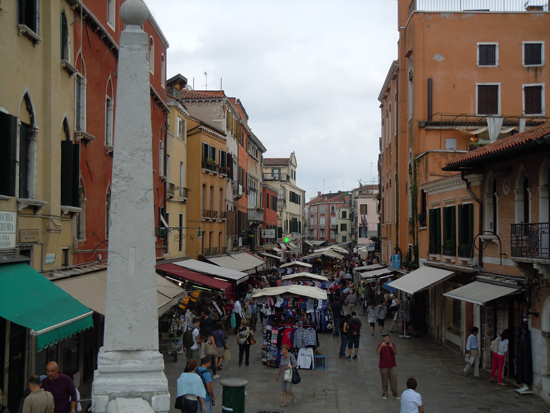 From Campo Santa Margherita, start walking toward Accademia. You'll pass Ponte ai Pugni (Look for the foot prints on top of the bridge: the Venetians used to fight out arguments here like in a boxing ring, except here the loser fell into the water.) and then onto Campo San Barnaba (Indiana Jones and the Last Crusade was filmed here - the part when he escapes from the crypt). 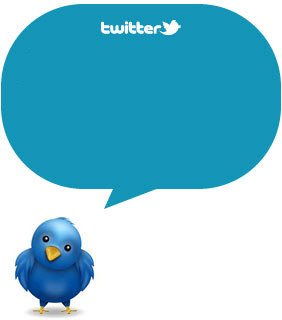 Continue along until you get to Accademia. If you like Medieval Art, definitely make a visit inside. 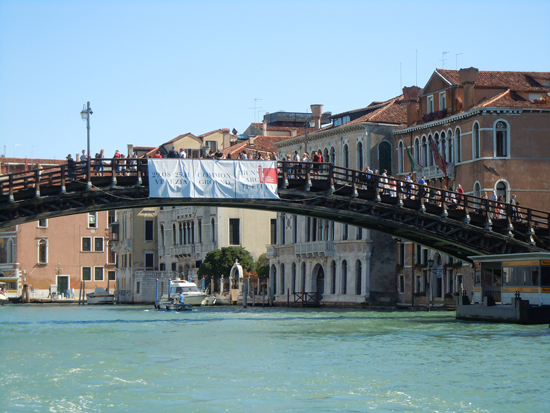 If you prefer Modern and Contemporary Art, opt for the Peggy Guggenheim Museum just a 5-minute walk away. After taking in your museum of choice, take a quick stroll to the Zattere, the bottom fondamenta of Dorsoduro that overlooks the island of Giudecca. If you need a little sweet snack, try a gelato from Nico. 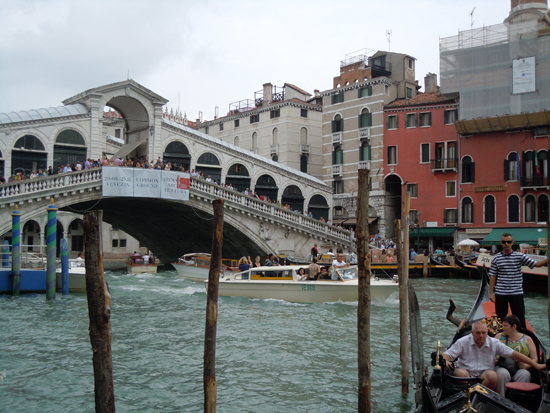 Head back to the Accademia Bridge and cross its wooden steps. Follow the road around the right, which will let you out into Campo San Stefano. 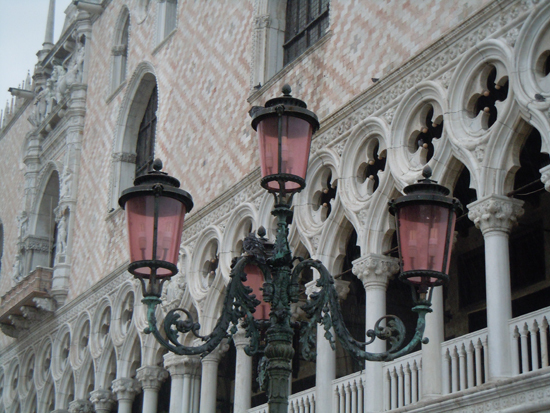 Head right toward San Marco, where you will begin to see the high fashion shops such as Prada and Dolce & Gabbana. Then, all of a sudden, there it is: San Marco! 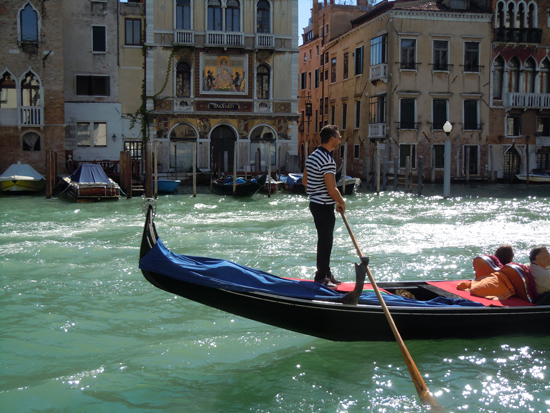 It is Venice's top tourist site for a reason. Walk across the Piazza (Venice's only piazza; the rest of the open spaces are called campos) to the Basilica of San Marco and enter to see its phenomenal mosaics. Afterward, head next door to the Doge's Palace (Palazzo Ducale) and visit the ornate rooms of the Venetian Republic and its historic leader. 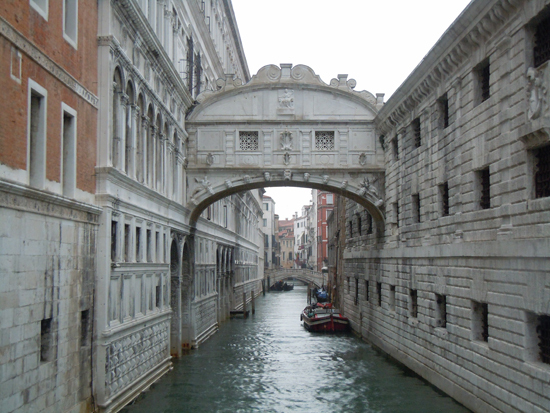 Afterward, make sure you exit and walk along the Riva Degli Schiavoni to see the Bridge of Sighs from the outside (you will cross over it on your way to the dungeons). Tired? You deserve a spritz (a cocktail the Venetians love made with Aperol or Campari, white wine, sparkling water, garnished with an olive and orange slice). 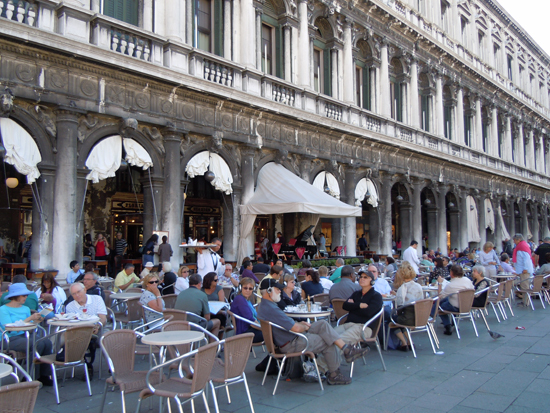 If your wallet affords it, have one in Piazza San Marco at one of the historic cafes such as Caffe Florian. If not, you can wander into one of the side streets where prices will drop dramatically. Afterward, there's another treat in store for you: a ride on a vaporetto (Line 1) which will snake you up the Grand Canal, offering views of stunning Venetian palazzi (mansions). Get on at San Zaccaria on Riva Degli Schiavoni, heading toward Piazzale Roma, find a seat (hopefully), relax, sit back and enjoy the view. If your short stay in Venice allows you to stay for dinner, I suggest heading back to Cannaregio, where there are many delicious dinner options. Get off the vaporetto at Ca' D'Oro or San Marcuola (the stop for Venice's Casino) and then make your way back into Cannaregio's northern fondamente: Fondamenta Misericordia and Fondamenta della Sensa. Here you will find a number of amazing Venetian restaurants. Some favorites of tourists and locals alike: Paradiso Perduto, Anice Stellato, Da Rioba, Al Timon. If you're staying the night, see the story on Nightlife in Venice and download the free ebook " 60 Additional Reasons to visit Italy! !